WELCOME. Hope you’re doing Great! 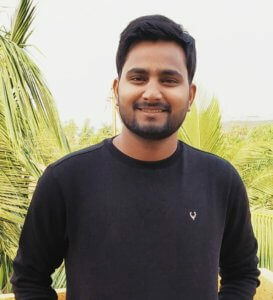 I’m Vishal, Founder of pynative.com. I am a Python developer, and I love to write articles to help students, developers, and learners. I started pynative.com because of my love for Python and Data Analytics. Create content-rich tutorials to cover Python and Data Analytics in detail. Create a practice question for each article and an exercise for each tutorial topic so you can practice and improve your Python skills. Every Tuesday I releases new Python Tutorials, Exercises and Tips, and Tricks. Get weekly updates by subscribing to our Newsletter. I look forward to hearing from you and helping you as best I can. If there is ever anything I can do for you please don’t hesitate to contact me or mail at admin@pynative.com. I’d love to hear your suggestions and feedback.